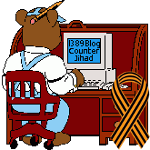 Orthodox Easter Day blaze in London Serbian restaurant — 1389 Blog - Counterjihad! FIFTY EIGHT firefighters battle to control a blaze at the Corner Terrace “Otadzbina” restaurant in Ealing on Orthodox Easter. The fire broke out early on Sunday 1 May at the eatery which also affected adjoining flats where fire crews rescueed two men. Six local fire stations sent 58 firefighters to deal with the blaze. By 8am the fire was under control but Uxbridge Road, one of the city’s most congested major roads, was closed until 10am. A spokesperson from the London Fire Brigade said: “Fire crews from Acton, Ealing, Chiswick, Park Royal, Hammersmith and Wembley fire stations attended” adding that the cause of the fire was not known at present. The sad news brings the number of 2016 Easter Day fires to five – four are from Orthodox communities in the Diaspora. This fire precedes the fire which sacked St Sava’s Church in NYC by just 17 hours. That investigation is ongoing with the Daily Mail reporting as “suspicious” but the most recent New York Post quoting investigators as saying that the candles may not have been fully extinguished. The same paper also reported on concerns from the Serbian community, some of whom have queried the presumed coincidence line, saying that Serbs had successfully lobbied Pope Francis to delay the canonisation of controversial WW2 “Croatian Nazi supporter Cardinal Aloysius Stepinac”.